This 12x12 double sided paper has Mini Floral Bouquets on the front side while the reverse side Vintage Bingo Cards in Black & Kraft. Look for other coordinating Designer Papers, Element Sheet and Ephemera Die-Cuts. 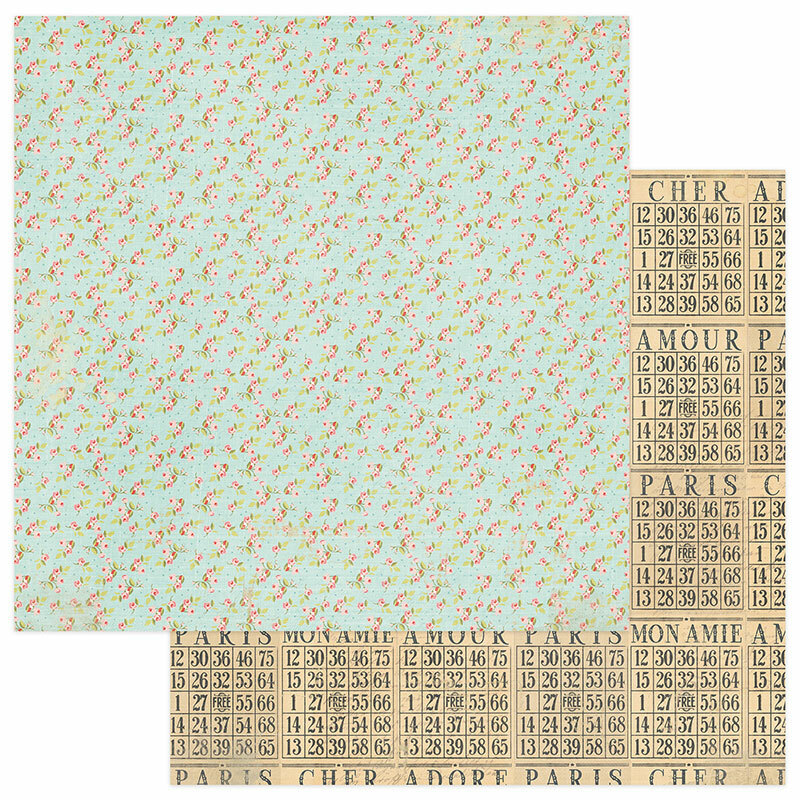 French Flea Market Collection by Photo Play Paper.